A domestic helper suffered severe burns during the fire that erupted on board a yatch at Sentosa Cove yesterday (22 Mar), as she used her own body to shield a female baby. 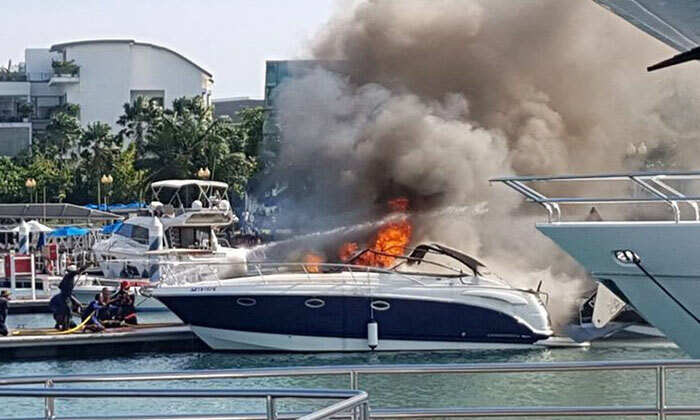 In the second major fire this week – after the fire at Pulau Busing – witnesses heard a loud bang around 4.30pm before they saw the yatch, docked at ONE°15 Marina Club, engulfed in flames and thick black smoke. An emergency response team from the Marina Club fought the blaze before Singapore Civil Defense Force (SCDF) officers arrived to put out the flames. 15 individuals, including two domestic helpers and a baby, who were on board the yatch were conveyed to the hospital. 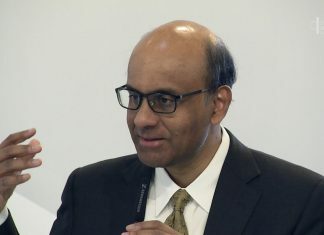 An eyewitness told the Chinese daily that one of the helpers used her own body to ensure that the baby was safe as they fled the burning yatch. The infant is believed to be under 12 months old. One of the maids is presently warded at the Intensive Care Unit while the other is receiving treatment at the High Dependency Unit. The Chinese daily reported that both maids suffered 30 per cent burns. The cause of the fire is still unknown. Investigations are ongoing.